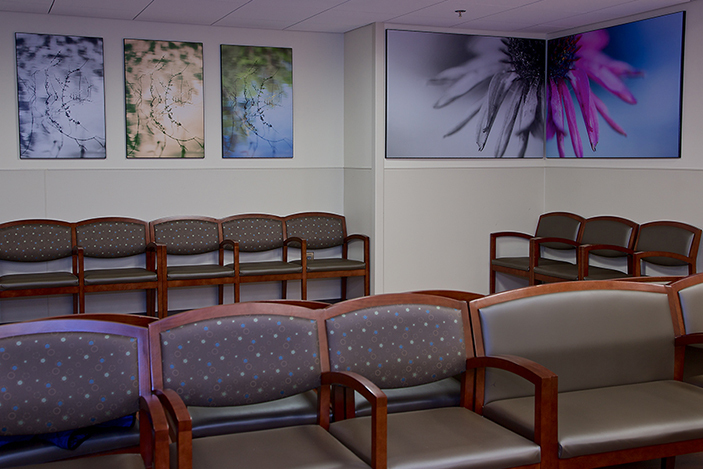 Patients are now able to entertain themselves or imagine soothing thoughts triggered by the artwork in the newly renovated waiting area. 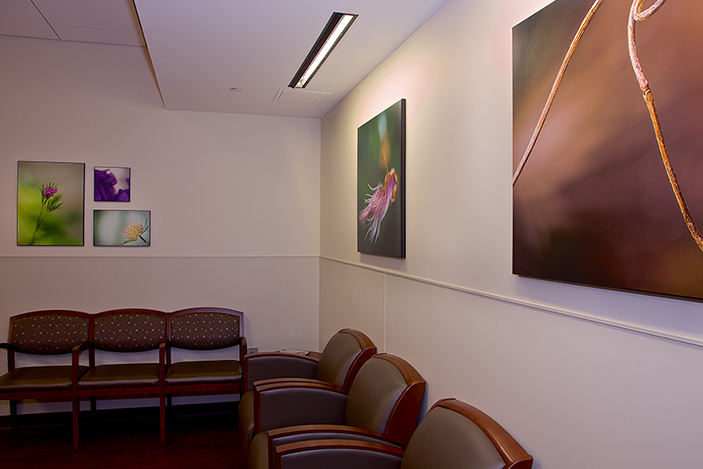 As you walk into the newly constructed Radiology waiting room at Emory University Hospital, you will notice the addition of calming artwork arranged on the walls. 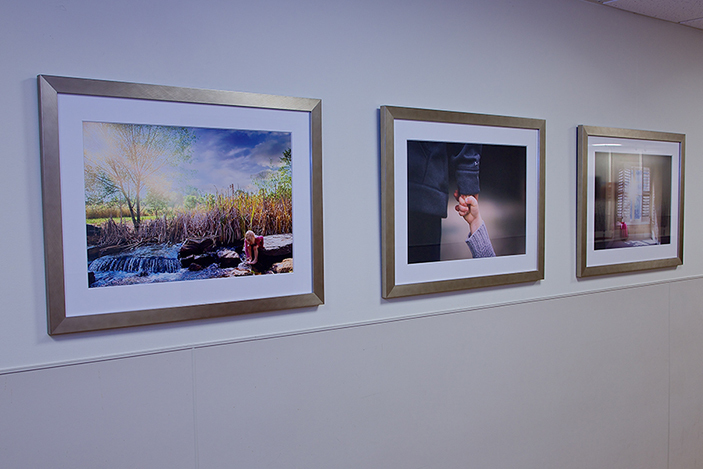 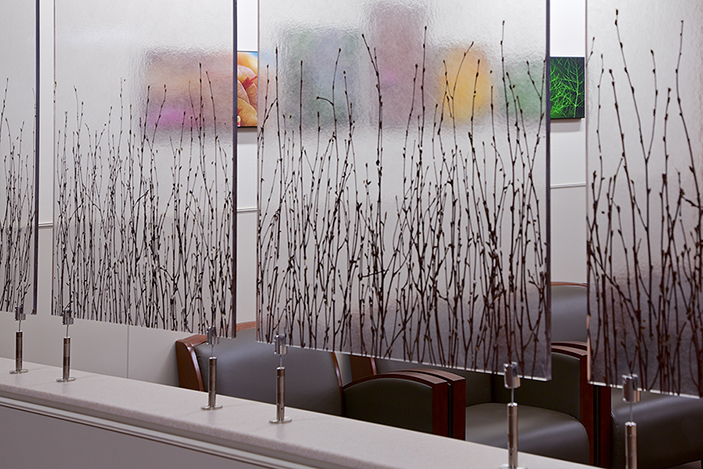 Patients are now able to entertain themselves or imagine soothing thoughts triggered by the artwork, instead of staring at a sterile white wall nervously waiting for their procedure. 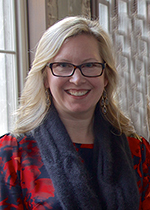 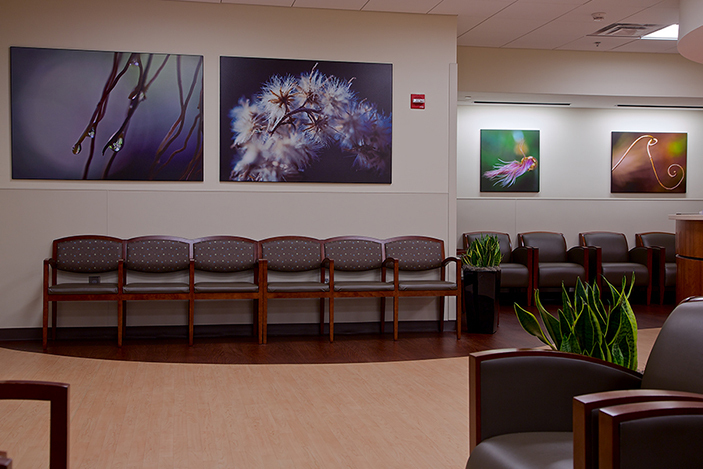 Several studies have shown that artwork displayed in hospitals and clinics can help reduce stress for patients and increase satisfaction with care. 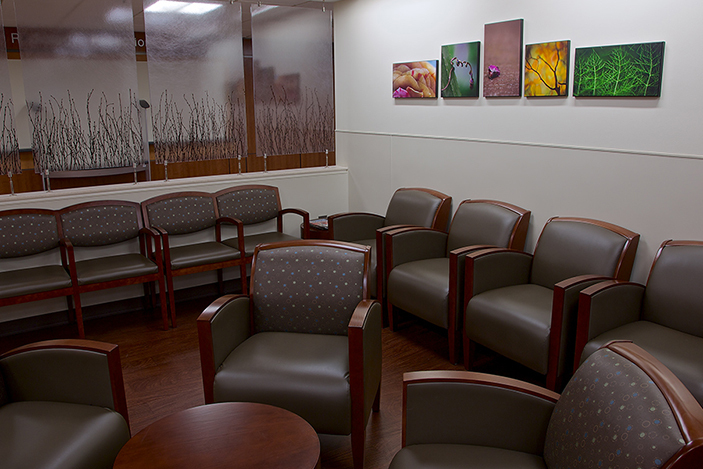 With a newly renovated waiting area, Emory Radiology is a step closer to providing patients with the ultimate patient experience.